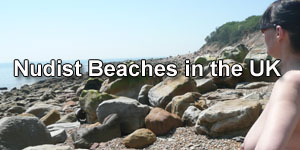 Naturist clubs can be a fantastic way to meet like-minded people of both sexes and enjoy lasting friendships…but is a Naturist club the best place to meet and date a new love partner? Then, as the dating couple slowly get to know each other more intimately,the layers fall off, both mentally and physically, so that when the time comes where both parties see each other naked for the first time, it is the culmination of the whole dating process. If however, you were lucky enough to meet your intended at a Nudist club,you are almost starting at the wrong end, so to speak, with both parties knowing what each others naked bodies look like before dating! Now this, believe it or not can work. There are several naturist couples who met and dated at their local Nudist club and are perfectly happy, some have even married. It is rare though, so if you as a nudist are considering joining a Nudist club to find love, the advice would be to reconsider as the likelyhood of you finding the perfect match is low. For a start look at the ratio of men to women at most clubs! You would be far better off joining an Online Nudist Dating service, of which there are thousands available on the internet. Joining a nudist dating site is just like joining any other dating site in that you would have to submit a short application form and a photo. But before joining any old dating site, it may be worth your while to perform a search on the nudist dating site that you are considering to see what others are saying about it. If it’s a site that has a bad reputation, you can be sure that there will be plenty of adverse comments online, which will help to make up your mind. Dating sites can be expensive, so decide on a monthly amount that you can afford, and keep to it. Also ensure that the online dating site has the features that you require, for example you may feel more comfortable in chat rooms. 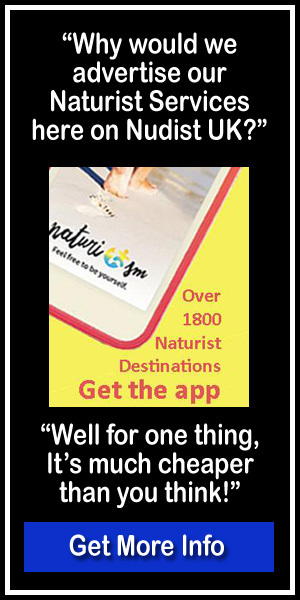 Finally, whether it is a dedicated nudist dating site or not, use common sense, don’t give out your home address, and when you go out on that very first date, make it somewhere neutral and let someone else know exactly where you are going to be, and have your mobile phone with you. Once you absolutely trust your new love match, then you can let go, and just enjoy! My Cleaner is a Nudist! Problems for the Male Nudist?